Mesmerizing glitter. This will help to relax kids and adults of all ages. Either give yourself a timeout or your kids.This pretty jar is a sanity saver. Disclaimer: Do not give a glass jar to a child who is to young to hold it safely or who is in the middle of a tantrum. This is a great tool but please use responsibly. To any instructables member- If you make one of your own, I will gladly put it in my instructable to show it off.Just attach it in the comment section and ask that I put it in. I made another one, just for fun. (I love these)This time I made it out of a slender glass salad dressing jar. 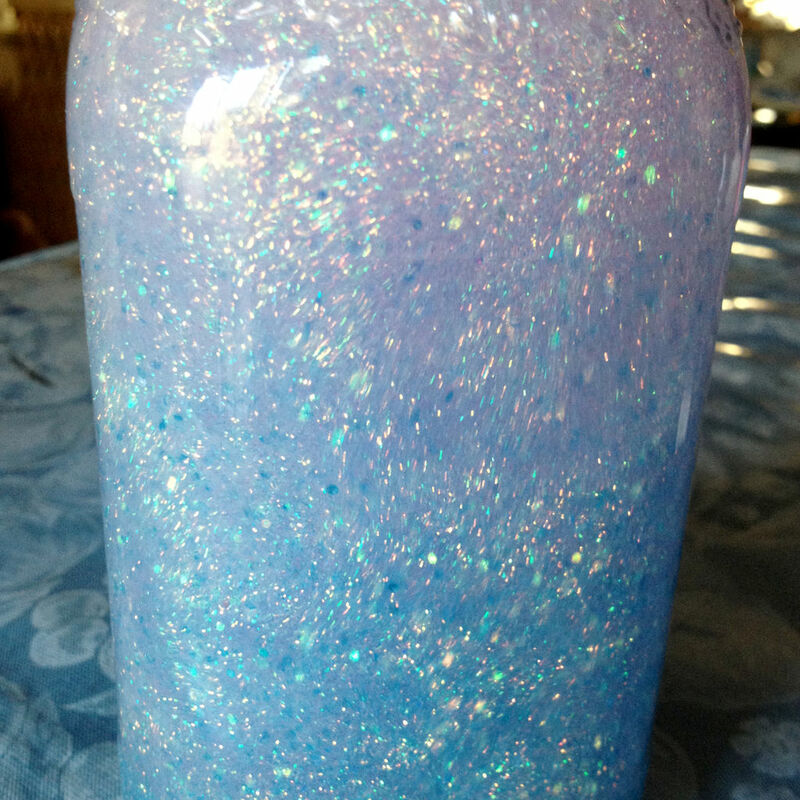 *3 tbsp of clear glue (or glitter glue) to each 1 cup of (hot) water to fill the jar -you can just eyeball it. Put the velcro on the lid and on the led light. 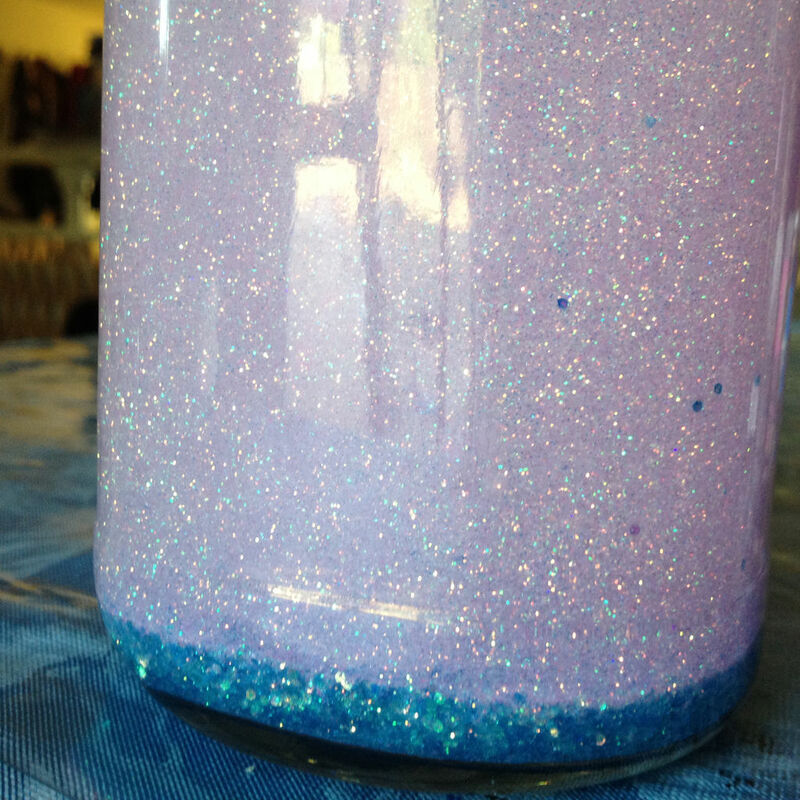 Pour in the glitter.I used white,blue, and pink. you want to try to get about 3 different types of glitter. I used extra fine , fine and blue , the blue doesnt say what "grade" of glitter it is but it is obviously bigger. 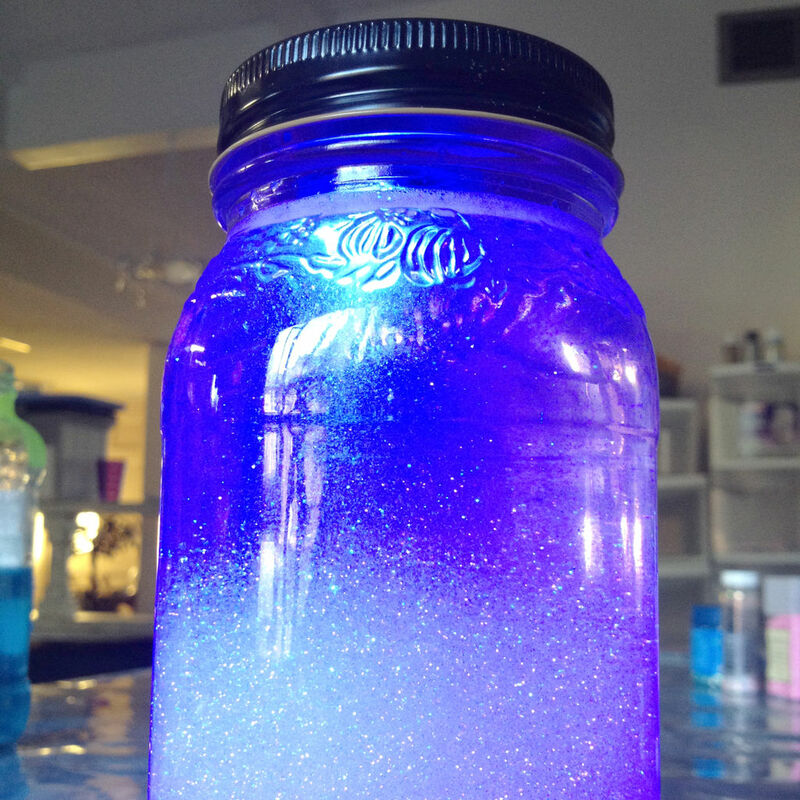 Also what's really cool is that when you shake it the water looks blue at first because of the bigger glitter then it falls and then the color seems to turn to pink. (this is when i use the jar without turning on the light) Both ways are very pretty. Then pour in the glue. 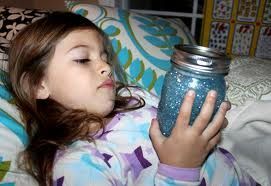 The more glue that you put in ,the glitter will take longer to fall. You can adjust the amount of glitter and glue to suit your needs. Now pour in the hot water and put the lid on and shake vigorously. Then open the jar back up, use a q-tip or napkin to gently soak up the bubbles.This will help the water be more clear. Ok, you're done. 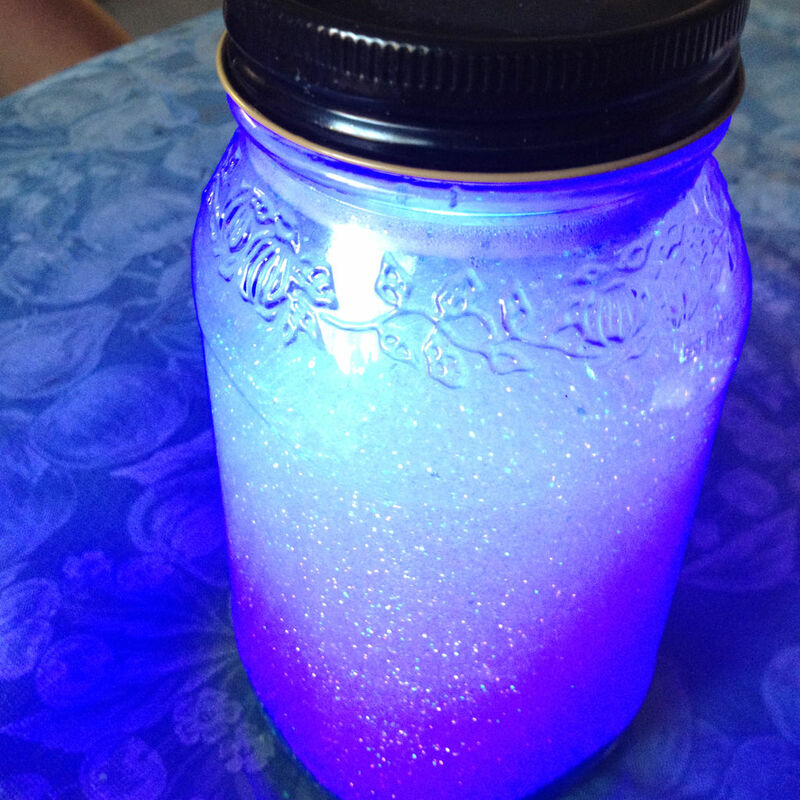 Turn on your led and replace lid, shake and relax watching the beautiful glitter fall. 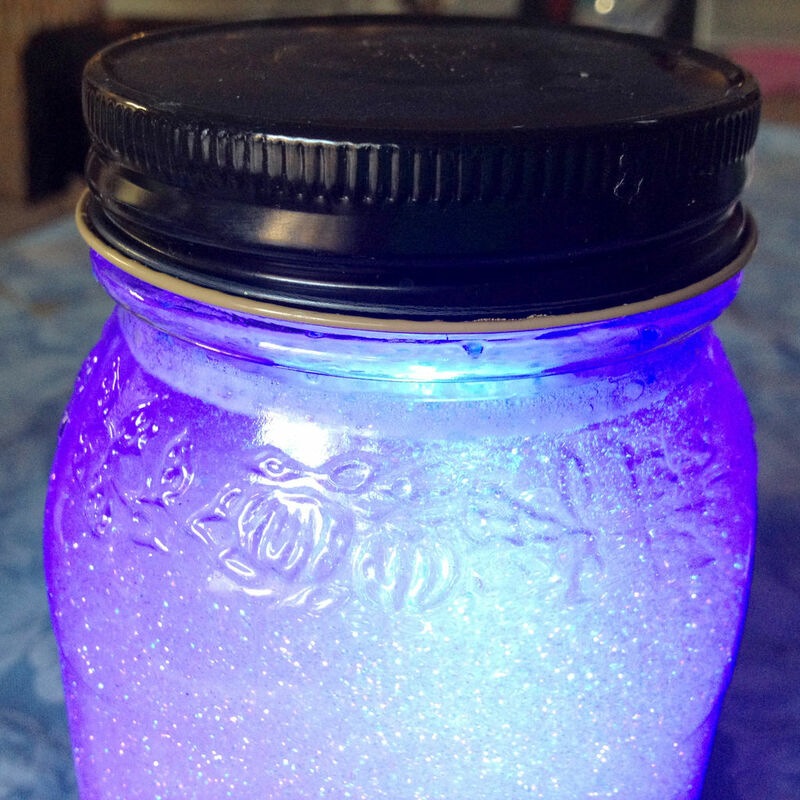 If you choose to not use the led light you could glue your jar shut so little ones are not tempted to open it. To use it on an upset child, the idea is to use it as a timeout "Timer". When the glitter has completely fallen(and hopefully their attitude has changed) they can resume playing. Kids (and adults) like to watch it and it helps them refocus.It also relaxes them so you can start putting them down for a nap or bedtime. It works wonders on my year 3 old. He loves it. He calls it his "shiny treasure"
dude itss really wurks. bruhh. my kids luv it. how long do the lights last??? I really cannot wait to make this! very very cool! i'm trying to get the same effect, I made one but i think i used too much glue or too much glitter. 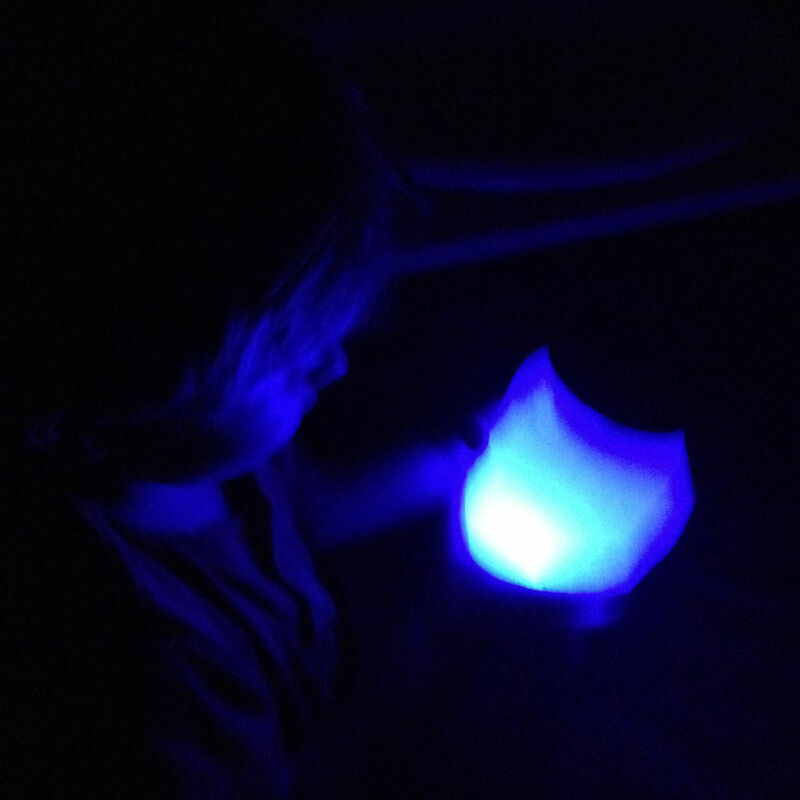 theres hardly any sparky shine & the water just ended up being dark blue, the light doesnt penetrate all the way just the very top. I think i should change colours or something and use less of everything. Any tips? Okay 2 questions, will the Velcro and led light fall off from being exposed to water? And Does the light turn off or stay on constantly? i went to the Dollar Tree today and got a package with 4/5 shades of blue and green glitter, i hope it's enough, it would be so pretty. now i just need clear glue! That sounds pretty. Send me a pic in the add comment section and I would be happy to post it in my instructable. Beautiful! Love the addition of the light! Is the warning from experience? Thank you. Lol, no,I just thought it would be a good reminder to help ensure the safety of kids. Luckily my 3 year old doesn't have too many tantrums. plastic containers would work. if you add 20% cooking oil and then some Effervescent tablets and food colouring, you will get great movement of bubbled with the light. That sounds real cool but wouldnt you have to add the tablets everytime? If you try that I would love a pic. I wish I had some of those tablets on hand, I would try it. Yes, but if you use plastic bottles, even children can add the tablets safely. We've done that much before. It will be great to get both working. I wonder if putting a small resistor pack to heat the bottom of the jar to create convection currents would work? Nice make BTW! Thanks for posting.